Graeme Allan has worked in the South African stills Industry for the past 23 years and we are thrilled to have him at the helm of our recently launched stills division. Graeme has the ability to liaise and negotiate at all levels. He has great communication and leadership skills and with his extensive production knowledge thrives in a clear and open communication environment. Graeme is a big picture thinker and problem solver - strategic and analytical, he has the ability to work in any environment with a diverse bunch of personality types. 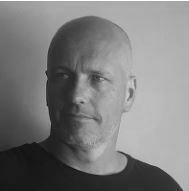 In 1999 he joined Sebastian Prinz in setting up Prinz Productions and together they operated a hugely successful film and photographic production company. Graeme was voted onto the South African Association of Stills Producers (SAASP) executive Board as a director in 2008 and served in this position until the end of 2013. Between 2008 and 2011 he represented SAASP as a board member of the Cape Town Film Commission - working closely with the CPA, the Department of Labour and other governmental agencies and departments. He values honesty and commitment mixed with a good dollop of fun.